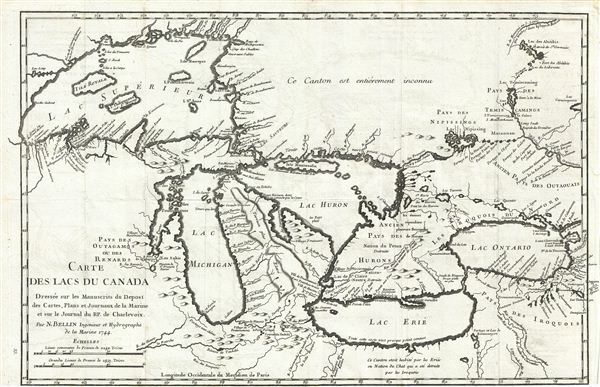 The earliest obtainable example of the first map to introduce four fictional islands in Lake Superior. Islands later used to draw post-Revolutionary War US-Canada border. Very good. A exceptional impression. Slight wear on original fold lines. Lower margin narrow.